Remember that crucial moment when you fire up your well-behaved browser to check some stuffs online, only to see it fly into a virtual tantrum as an onslaught of advertisements either pop-ups, slides in from the top or sidebar and even inserts itself at the center, thereby interrupting your intended activity. The worst part is that no matter how hard you try to close those windows, they keep opening more tabs and that’s when you’ll start seeing dubious offers such as get rich quick schemes, miracle weight loss programs, bogus virus warnings and some may even lead you to a NSFW website. Also Read: How to Block Ads In Android Apps Without Rooting. This perplexity is often caused by adware, the forerunner of the modern day PUP (potentially unwanted program) that uses underhanded method to disguise itself as legitimate and then piggybacks on another program only for you to fall victim and Install them. This scripts are solely meant to generate revenue for its developers, and one such adware is VarianceTV, a software that spawned to torment computer users, but we’re going to save you from that nightmare by putting a stop to it. Personally, VarianceTV is a pot of rotten fish. It is typically an adware that comes ‘secretly buried’ within a software you’ve had “installed” on your PC. Normally, you won’t be seeing it on your desktop, it only appears when you open your web browser “whilst” connected to a WiFi network. For one thing, VarianceTV is intelligent. Once it “finds it way” into your system, it will automatically​ analyze your location, read sensitive informations and monitor your internet activities and this enables it to deliver relevant advertisements you won’t resist. VarianceTV ads pop-ups within your browser from time to time, and we are going to unravel how it manages to get into your PC. 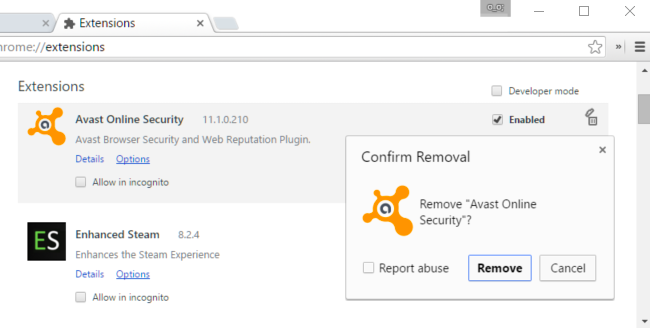 One of the easiest way to stay safe while browsing is to use a good Anti-Malware software that works without qualm. Now assuming you’ve​ unknownly accessed a VarianceTV rigged site, the anti-virus tool you’ve had Installed, will automatically stop any hidden and fishy attempts and will instantly notify you of any danger running in the background. As cybersecurity professionals, AVG and Bitdefender Antivirus software are the best we’ve used so far. They’re discreet but effective, and brings an easy-to-use and simple user interface. So you should definitely give them a try.